Cellular technology has been evolving with the aim of helping connect people and with the advent of internet, providing access to the internet. We have seen increase in data speeds, decrease in latency throughout this evolution cycle so far, improving the overall quality of communication that we carry out using the wireless medium. But, the cellular networks have not only been evolving in this direction. Another aspect of this evolution has been the emergence of concept to connect everything i.e., not only communication between human beings, but things in general without human involvement. This aspect is not new as such, but it is getting more and more popular with the various use cases coming to the forefront (such as connected water/electricity meters, connected vehicles etc. ), which would enable a better-connected world, where the technologies enabling such connectivity improve the overall quality of life, safety and efficiency of various tasks. 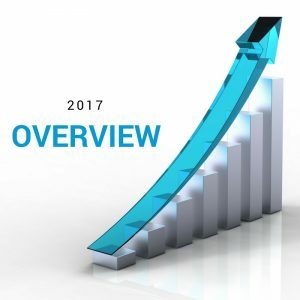 This concept is popularly known as Internet of Things (IoT) and covers Machine to Machine (M2M) Communication and Machine Type Communication (mMTC) with device use cases ranging from video surveillance requiring higher data rate to meter tracking that require very small infrequent data capabilities. The networks used for connecting these IoT devices are usually referred to as Low Power Wide Area Networks (LPWAN) due to the nature of the devices connecting to such networks. These technologies are standardized cellular technologies and have been developed by the joint efforts of the industry under the umbrella of 3GPP  to ensure a common framework for interoperability between devices and networks on the cellular networks. In contrast to standardized technologies, the other set of solutions have been developed by certain industry player(s) who saw an opportunity to cater to the market of connecting billions of IoT devices that would come up in the future with proprietary technology. These were also the first technologies designed to cater to IoT specifically. 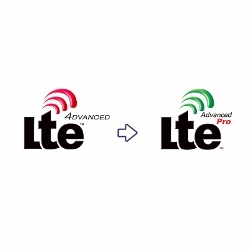 LTE Cat 1 has been present in the 3GPP specifications since the initial introduction of LTE in Release 8 , but after initial popularity, it did not stay in the limelight for long as the focus of network vendors and device manufacturers shifted towards the high-speed Cat 3 and 4 devices. But as it became obvious that LTE deployments would eventually take over the 2G/3G deployments, there was a need to move the M2M and IoT devices dependent on these legacy RATs to LTE, and Cat-1 was the perfect solution fully-available for cellular IoT at that time (2014~2015). This is due to its characteristic features such as reduced complexity in both baseband and RF leading to lower cost devices, along with lower processing requirements (leading to lower power consumption) and low throughput sufficient enough to cater to the IoT devices. LTE Cat-0 was introduced by the 3GPP to lay the ground work to make IoT applications based on LTE a success by making sure that basic requirements of IoT applications were satisfied, which included the reduction in the device price and complexity. Hence the legacy LTE features meant to support high data rates were trimmed down to bring down the device price further, keeping in mind the requirements of IoT applications such as: low power consumption, huge number of devices, enhanced coverage etc. Developed by the 3GPP to address the growing need of dedicated technology to satisfy the requirements for IoT applications in terms of cost and power consumption reduction without any significant change to the current LTE deployment, LTE UE Cat-M was introduced in Rel. 13 of the 3GPP as enhanced MTC (eMTC) to optimally address the massive MTC use cases. The maximum system bandwidth has been capped to 1.4 MHz, keeping in mind the low data bandwidth required for IoT devices. The biggest advantage of Cat-M is the ability to deploy it without any change in HW as it runs on legacy LTE HW with only a SW upgrade required. 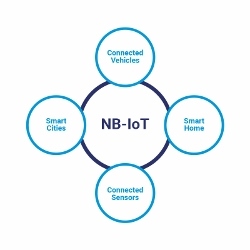 Also developed by the 3GPP with the aim of addressing the challenges posed by the IoT applications, NB-IoT was designed (standardized as a part of 3GPP Rel-13) specifically to support low-end IoT devices and services, while reusing LTE infrastructure, along with making sure low power consumption for the end devices enabling longer battery life. This technology is an extension of the widely popular eGPRS technology which provides coverage to the largest area around the world. EC-GSM is designed to support: high capacity (in terms of number of supported UEs), long range, low energy and low complexity cellular system for IoT applications. The optimizations made in EC-GSM can be implemented on the current GSM networks with the help of a software upgrade, not requiring HW changes or spectrum allocation, ensuring continued coverage and accelerated time to-market. Battery life of up to 10 years can be supported for a wide range of use cases. 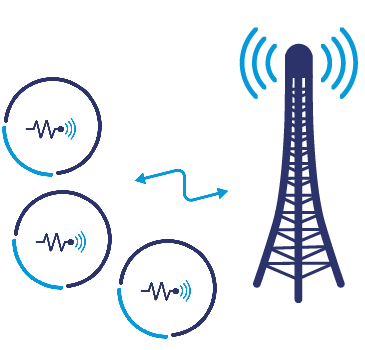 This system, however, isn’t generating as much buzz as eMTC or NB-IoT, as more and more operators are thinking of shutting down their GSM deployments and refarm their GSM spectrum. LoRaWAN provides data rates from 0.3 kbps to 50 kbps. In order to maximize both battery life of the end-devices and overall network capacity, the LoRaWAN network server manages the data rate and RF output for each end-device individually . SIGFOX was the one of the first companies that popularized the concept of network dedicated for IoT devices using its Ultra Narrow Band (UNB) technology for low data rate applications . It is deployed in the ISM radio band over a 200 KHz channel and the data rates are very low where a small payload size of 12 bytes could take up to 2s to reach the base station over the air. It has helped to connect thousands of devices in Europe as well as US with pilot projects in other continents. Below is a table from  which summarizes the technologies which we discussed above along with their key aspects. 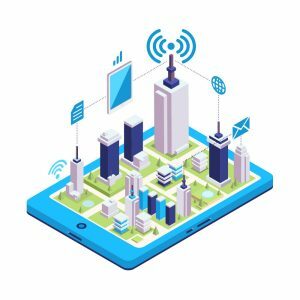 As you have seen, there are various solutions present to enable connectivity for the billions of IoT devices that we will be surrounded by in the near future. The technologies, which will be dominant for large scale deployment, will be most probably the standardized ones, as they will enable Mobile Network Operators (MNOs) to provide such services at competitive prices along with removing overhead for the IoT application developers. The proprietary technologies will exist and will be useful for unique deployment scenarios where mobile network operator involvement would not possible. Also, with the ongoing 5G development and much focus being on defining the IoT solution within the 5G system, there are improvements expected in the LPWAN area.